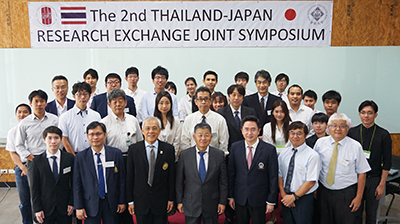 On August 20, Kanazawa University and SUN/SixERS (Six National Universities International Education and Research System) hosted the 2nd THAILAND-JAPAN RESEARCH EXCHANGE JOINT SYMPOSIUM at SixERS ASEAN Platform (AP-SixERS) in Bangkok. 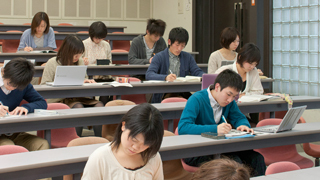 President Koetsu Yamazaki, 9 faculty and staff and 9 graduate students from Kanazawa University participated in the event. 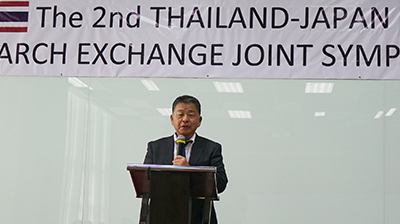 President Yamazaki and Sakarindr Bhumiratana, President of King Mongkut’s University of Technology-Thonburi, which is one of our partner universities and owns the building where the platform is located, opened the symposium, and the researchers from both countries made presentations on their researches in bio-medical sciences. 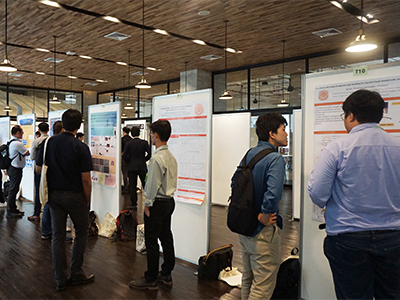 Japanese and Thai graduate students also made poster presentations on their researches. 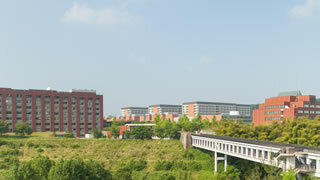 Also, on this day, President Yamazaki paid a courtesy visit to President Bhumiratana, and there were discussions about the future collaboration between the two universities. 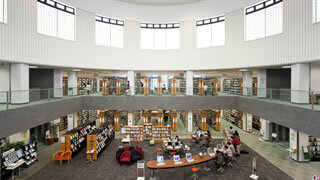 It was an essential opportunity to promote research exchanges and collaborations between universities in both countries.